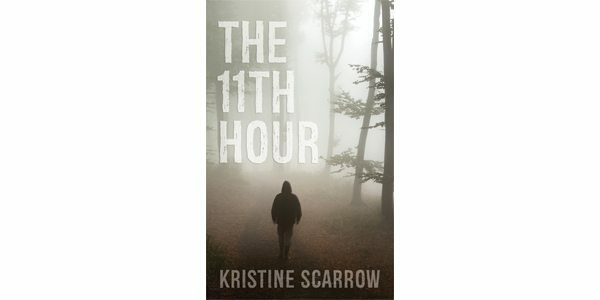 “It is my wish that a book like this one helps to start a conversation about mental illness,” writes Saskatoon novelist Kristine Scarrow in the author’s note of The 11th Hour. This cautionary tale takes place over the course of a single day. In alternating perspectives, the novel tells the story of Dylan and Annika, an ill-fated teenage couple, who have decided to run away and begin a new life together. With all the subtlety of an after-school special, red flags begin to appear as soon as they hit the road. Dylan is jealous and possessive. He snaps at Annika with the slightest provocation. When they arrive at the cabin Dylan claims belongs to his family, things really turn ugly. Despite the fact that Scarrow’s narration gives access to the characters’ inner thoughts, Annika and Dylan fall flat. She’s a good-girl type. He’s a stereotypical troubled youth. Not until near the end of the book is it revealed that Dylan suffers from a (never explicitly named) mental illness, a revelation that is presented in an awkwardly appended epilogue told from the perspective of his parents. With some restructuring, this novel could have worked. It would have been easier to empathize had we heard from Dylan’s parents earl­ier in the novel, and perhaps from some other perspectives as well. Instead, Dylan appears demonic, a presentation that only serves to perpetuate stigmas surrounding mental illness. And Annika’s naïveté and optimism are unfairly and irrevocably punished. A heavy-handed, don’t-let-it-happen-to-you attitude overwhelms the novel. There is no shortage of books to spark helpful and healing conversations about mental health with young people. Unfortunately, this isn’t one of them.